Heat pumps heat your pool by extracting ambient heat from the surrounding air and transferring it into a refrigerant gas which is compressed and heated further. The heat is then transferred into the pool water and in turn heats your pool. This is a very energy efficient with 80% of the required power coming from the air. They are 15-30% more efficient than competitive units. This can save you up to 80% on running costs compared to alternative electric or gas pool heating. At as small as 48 decibels, your neighbors will be happy that you have a Heatseaker Solaire. These heat pumps are manufactured using only top-quality international components. The titanium heat exchanger is not only extremely efficient, it will never rust or corrode. Plus they come with advanced durable commercial grade digital controllers, specific water flow switches and high capacity compressor capacitors. 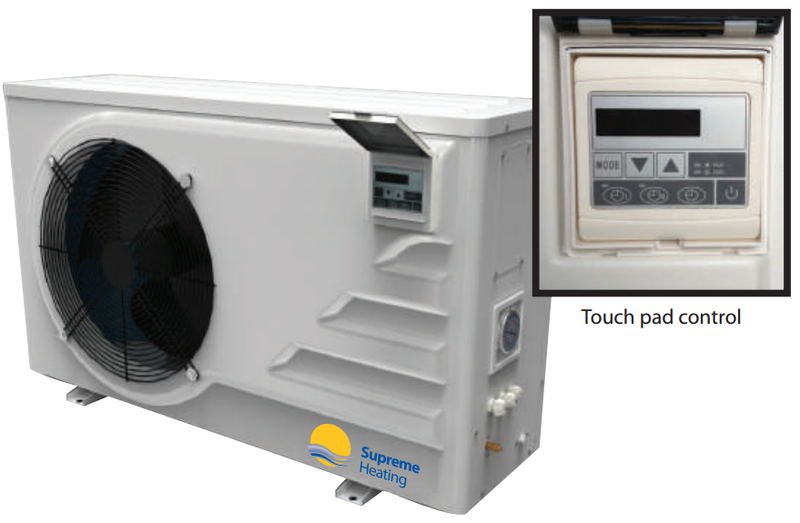 Heatseeker Solaire heat pumps not only heat your pool, they can cool it with equal efficient. How cool is that! Inverter heat pumps use a variable-speed compressor which has greater energy efficiency. Inverter technology eliminates voltage peaks which will reduce your annual energy consumption whilst extending the life of components.